After a long day travelling, the last thing any road warrior wants is to wait at a hotel check-in desk. Hotels have heard the pleas and help is on the way. 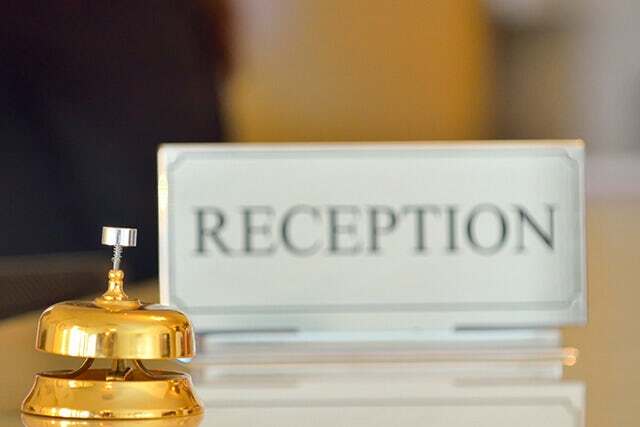 New technologies promise to let guests skip the front desk, although it might take several years for all of us to reap the benefits. • Marriott Hotels has a new program where guests at 329 properties in the continental U.S. and Canada can check in using its mobile app as early as 4 p.m. the day before arrival and receive an automatic notification when their room is ready. There’s an expedited mobile check-in desk where their key will be waiting. • Hyatt offers check-in kiosks at 85 properties, allowing travelers to bypass humans when getting their keys. The Hyatt Regency O’Hare in Chicago is now doing check-in via iPads on the airport shuttle bus. • Four Seasons also offers vehicle check-in: guests using the hotel’s cars to get to the Beverly Wilshire in Los Angeles or the Four Seasons Resort Costa Rica at Peninsula Papagayo can connect with the hotel’s staff via Skype. Besides checking in, they can book restaurant and spa reservations and order room service. At other Four Seasons properties, repeat guests can opt for an express curbside check-in. • Hilton Worldwide allows its elite members to pre-select their rooms online or through its mobile app prior to arrival at all of its brands. Guests know their room number and location, but still have to go to the front desk to get a key. • InterContinental Hotels Group’s Crowne Plaza is also testing a new check-in program where guests will receive a text message telling them that their room is ready.